Notice Britannia Terrace (parallel to Duke street) which is now disappeared. The new Claridge condo on the Flats is right on the ACE of Terrace. Note Queen Street is not shown as jumping over the cliff, but Maria Street (now Laurier Ave) apparently does. Suitable for Nanny Goats maybe. Slater Street ends at Bronson (then called Concession). It was later extended just below the section of Albert that is shown on a diagonal. 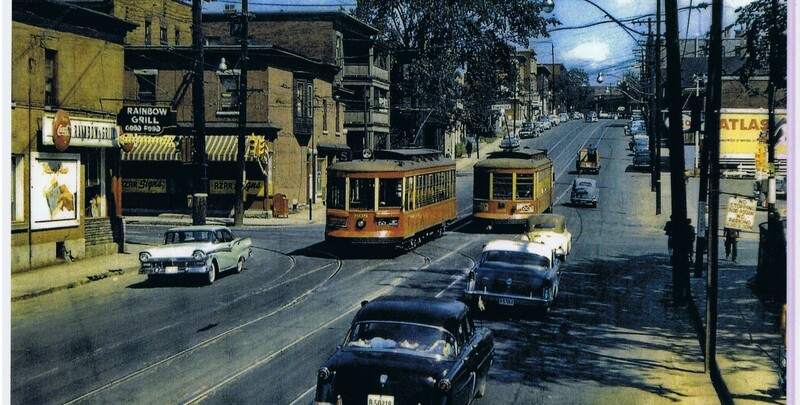 The extension was to permit the streetcar (Ottawa Electric Railway) to connect to Albert, which accounts for the narrow right of way on the part of Slater. The foundations of the old houses shown between Albert and Slater are still visible as depressions and hollows as you walk up Albert towards the downtown. Note too that Empress, by the Good Companions centre, was called Nelson Street. Bridge Street was later extended south over the aqueduct to incorporate Cortland Street, and after demolishing lots 22-27 became Booth Street. I remember when the five sided intersection was still operating at the corner of Albert-Rochester-Broad-Wellington (called Richmond Road here, when west of Broad). Preston Street is barely visible below the parcel of land marked John Rochester (after whom the whole area was called the Village of Rochester, or Rochesterville as it is put on my original house deed as surveyed by N Sparks). The Rochester lot became a huge building, demolished c1982 (I have pictures of that somewhere) in which the transatlantic cables were woven and taken by rail and ship to Halifax and Newfoundland. It was the largest or longest building in the British Empire at one time. Primrose Street was then called Maple, I have a “for let” sign used to rent the house I now live in, the sign refers to the address as Maple Street. Primrose used to be only the section above the cliff, it was changed to Primrose below the cliff (the only flower in the forest of street names) when the city incorporated the Experimental Farm which got to keep Maple Lane. 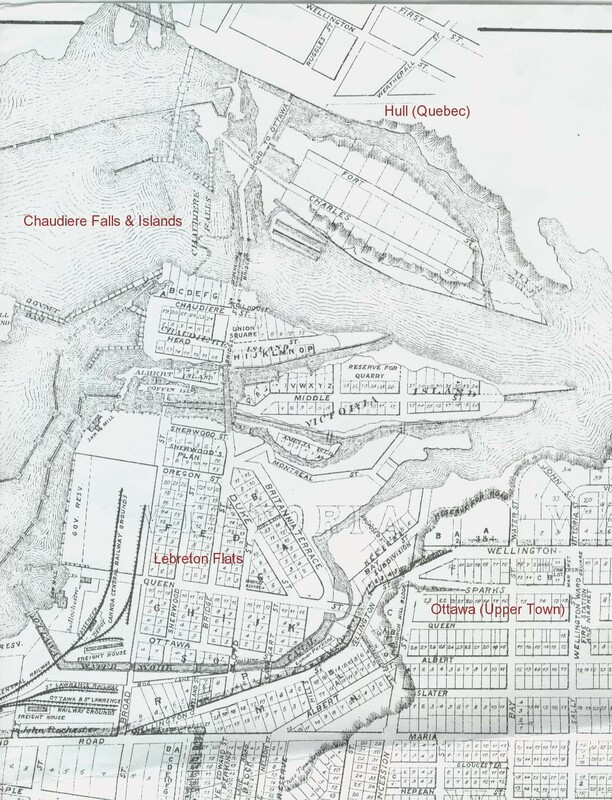 Notice how close Nepean Bay (the Ottawa River) is to Albert street on the far left. Huge portions of the bay were filled in in the 50’s to create the land for the parkway.